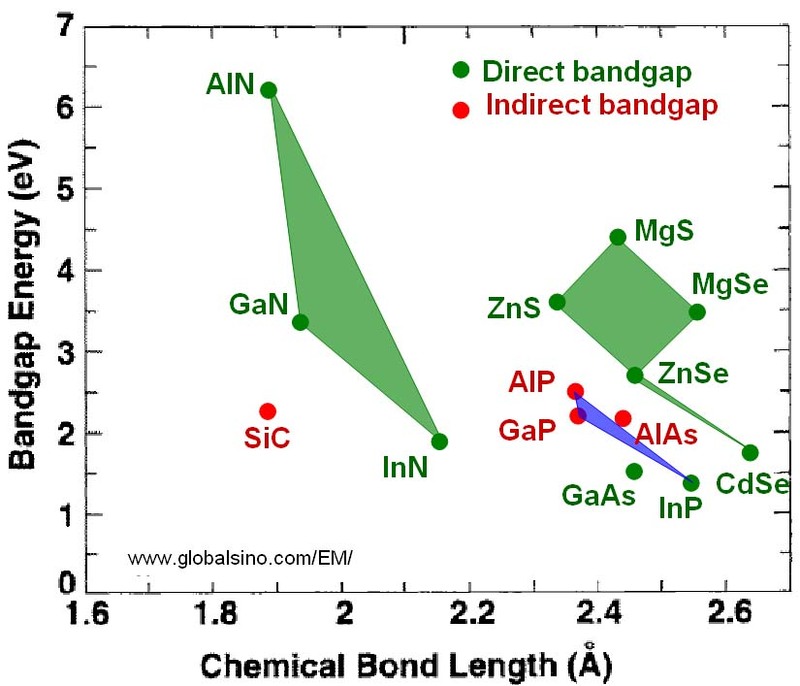 Figure 2083 shows bandgap and chemical bond length for semiconductors used in visible LEDs (light emitting devices). Crystalline Si has the space group of Fd-3m (see in Table 2019) and the space group for GaAs and InP is F-43m. Both these space groups are simple face-centred cubic (fcc) lattices. Table 2083a. Properties of InP crystals. Table 2083b. Some surface energies (J/m2) of low-index surfaces of InP crystals. The types of reconstructions are indicated. (1x1) relaxed denotes an unreconstructed cleavage surface. Ponce, F. A. and Bour, D.P., Nature, 386, (1997) 351.